I first visited Cambodia in 2001, on a research trip to find a story for a documentary on the country newly emerging from decades of civil war. A year later, director Marc Eberle and myself were back, shooting The Khmer` Heart of Stone, the first feature length docu for which I wrote the screenplay. The film follows the journey of a Khmer Rouge survivor who has become a tourist guide in Battambang to the Angkor temples, his first trip to the cultural heart of his country. 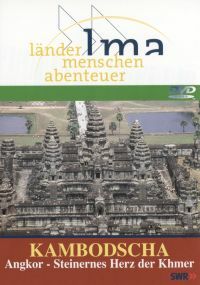 Khmer Heart of Stone was produced for Länder, Menschen, Abenteuer, a long running documentary slot on SWR, one of Germany´s regional channels. It was first broadcast in 2002 and has been reshown many times since. For me, the film was a huge learning curve. Khmer` Heart of Stone was the first proper screenplay I wrote and working on the set (we shot extensively in Battambang, Phnom Penh and Siem Reap) was both an eye opener vis a vis working in Cambodia as well as learning about conventional television and its demands. In 2002, Cambodia was a wild place – we had the privilege to be able to shoot long scenes at Angkor almost undisturbed, to see Khieu Samphan walking the streets of Pailin to witness drunken policemen firing the guns in provincial night clubs, to be held up by feral children demanding cash to cross their patch of rice paddy, to be robbed by the staff of one of Phnom Penh’s best hotels (at the time), who luckily stole the super 8 cameras but left the real gear: in short it was the beginning of a love affair with Cambodia, that, although bumpy, has survived to this day. In his recent book Cambodia’s Curse, writer Joel Brinkley quotes a US ambassador to Cambodia as saying that “Cambodia is one of the most dangerous countries in the world. First you fall in love with it. Then it breaks your heart.” Almost ten years after the making of The Khmer` Heart of Stone, this pretty much holds true. Ten years ago, a moment of promise swept the country. The war was over, development money was pouring in. It looked like the country might just recover from forty years of war and genocide. Ten years later, the picture is far less pretty and the millions upon millions of aid money donated by western nations in the past decade have been sucked away by a venal political system. The donors, fully aware that they are feeding a monster – the Cambodian government has long been promoting a culture of impunity that penetrates all aspects of daily life in the country – just keep on throwing money at this impoverished nation while sipping espressos on the Phnom Penh river front. The Khmer` Heart of Stone was not a political movie, but it did ask questions about where tourism in Angkor was likely to go in the coming years and our prediction of overcrowding and commercial exploitation proved accurate.